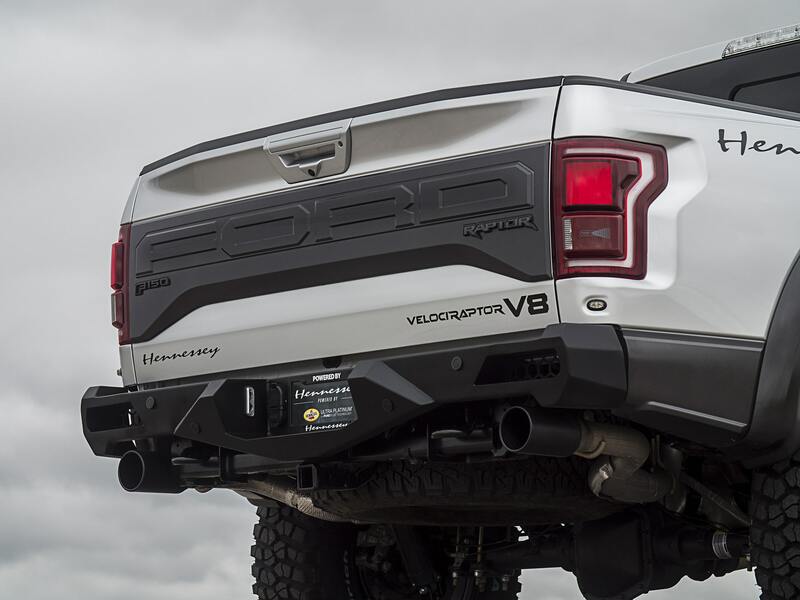 The new build by Hennessey seriously boosts the power and performance of the Raptor. 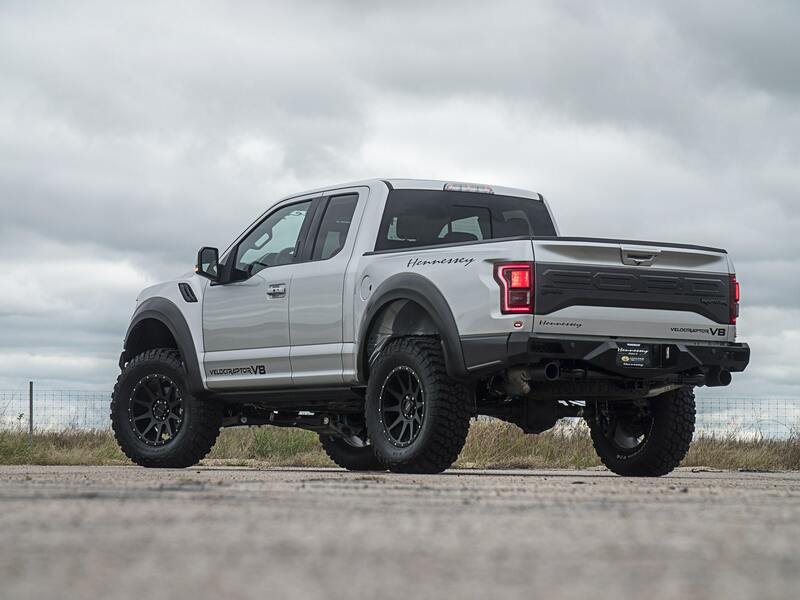 Hennessey Performance used the 2018 SEMA show as the perfect time to show off what happens when it gets its hands on a 2019 Ford F-150 Raptor. The Texas tuning house took the specialty vehicle and turned it into an even better machine, giving it back the V-8 we all loved, strapping on a big ol' supercharger, and branding it the VelociRaptor. The Ford F-150 Raptor is an extremely off-road capable, high-performance truck. While there haven’t been many complaints about the factory specs of the machine, one disappointment for many was the replacement of the V-8 under the hood. While the 450-horsepower V-6 EcoBoost engine is more than enough to get the job done, many just feel like it’s not a good fit for the second-generation of the supertruck. For people wanting the V-8 growl back in their Raptor, the Hennessey-made pickup offers that and then some. 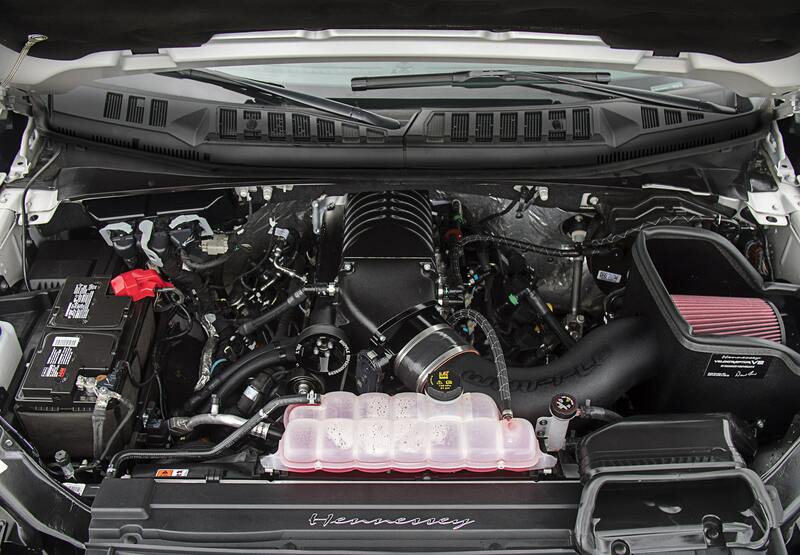 The EcoBoost engine has been plucked out, and a blown 5.0-liter V-8 turns the output up to 758 hp. A 2.9-liter supercharger allows the engine to reach the higher output, and Ford's 10-speed automatic transmission sends the power to the tires. Other performance upgrades include a high-flow induction system, a complete fuel system upgrade, a stainless steel catback exhaust, and custom tuning, to name a few modifications. The Stage 2 suspension gives the truck a 6-inch lift and it rolls on 20-inch alloy wheels that are wrapped in meaty 37-inch BFGoodrich off-road tires. Both front and rear bumpers have been swapped out for the Hennessey versions, and exterior lighting is upgraded up front. Hennessey promises that the supercharged truck will sprint to 60 mph in 4.1 seconds, and can cover the quarter-mile in 12.2-seconds at 115 mph. 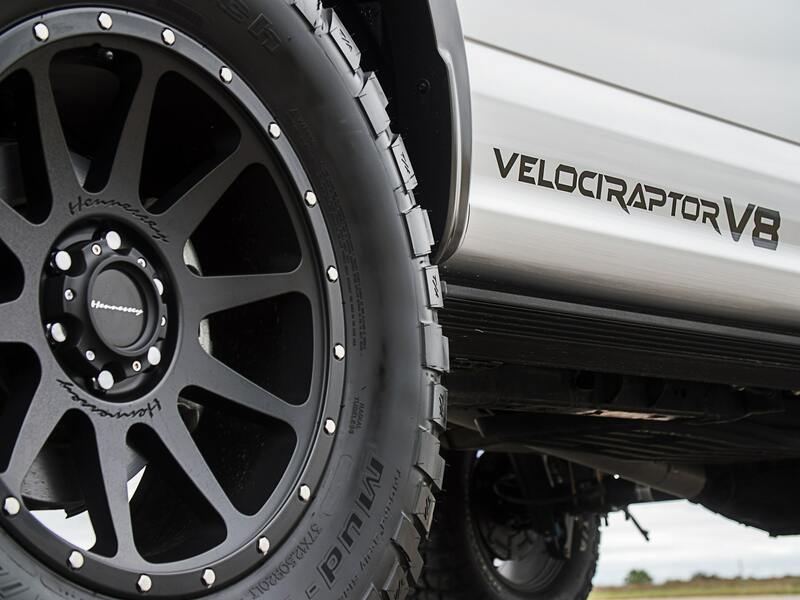 Only 100 of the 2019 Hennessey VelociRaptor trucks are going to be made, and one will run you $147,950 to bring home. In case the regular Raptor somehow wasn't tough enough. Want a Navigator with more power than a Range Rover SVR? Hennessey has you covered.